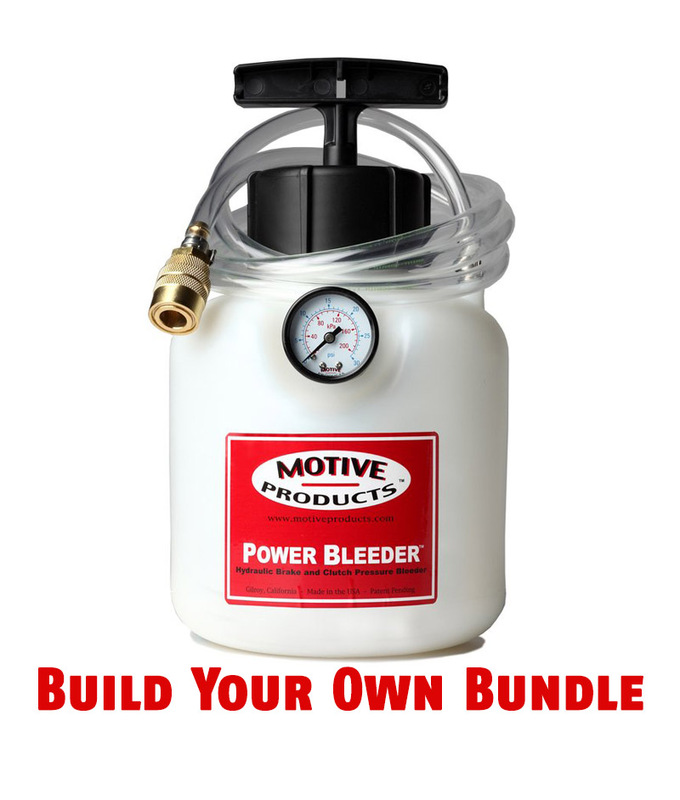 Store » Products By Brand » Universal » Motive Products Power Bleeder Bundle – Build Your Own! 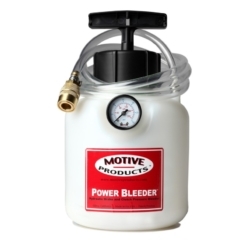 Motive Products Power Bleeder Bundle - Build Your Own! 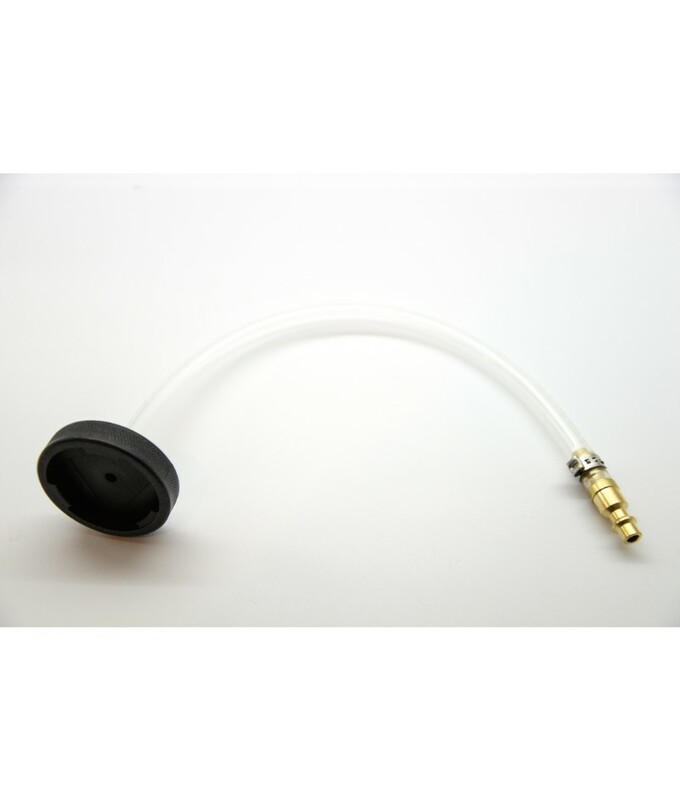 Motive's custom made injection moulded 3-Tab adapter. 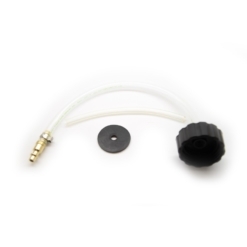 This adapter fits most Ford products from mid-1980s through present. 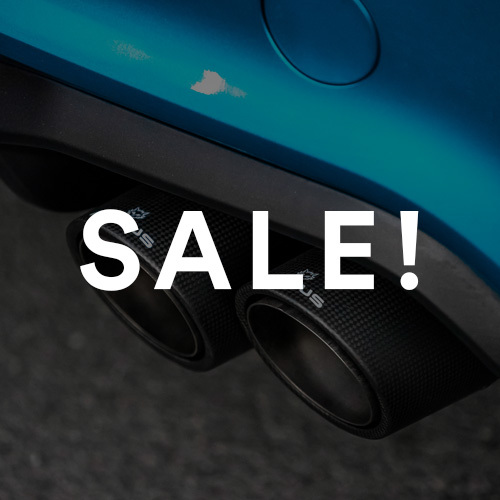 It also fits many Japanese imports made by Mitsubishi, Subaru, and Nissan in addition to some Korean imports such as some Kia and Hyundai. Motive's 3-Tab adapter is made from custom machined aluminium. 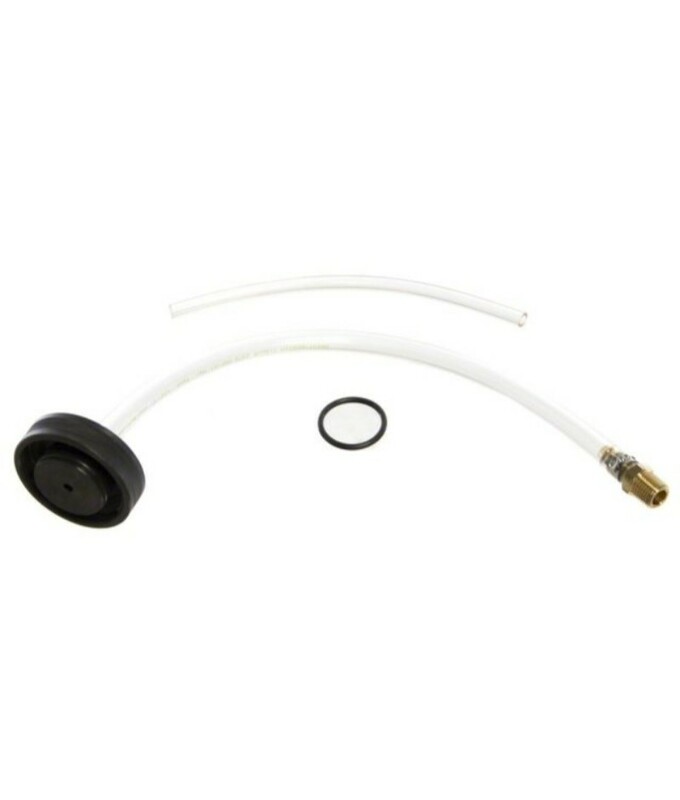 This adapter fits most Ford products from mid-1980s through present. 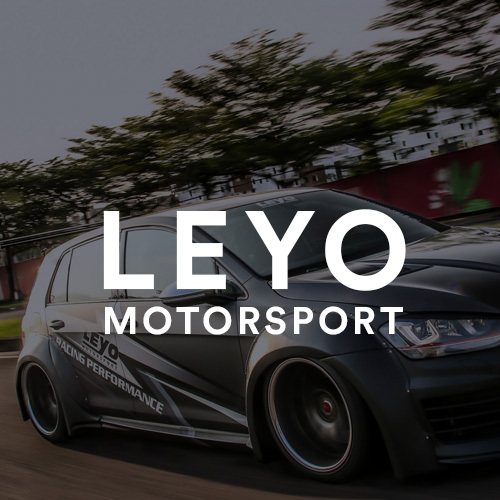 It also fits many Japanese imports made by Mitsubishi, Subaru, and Nissan in addition to some Korean imports such as some Kia and Hyundai. 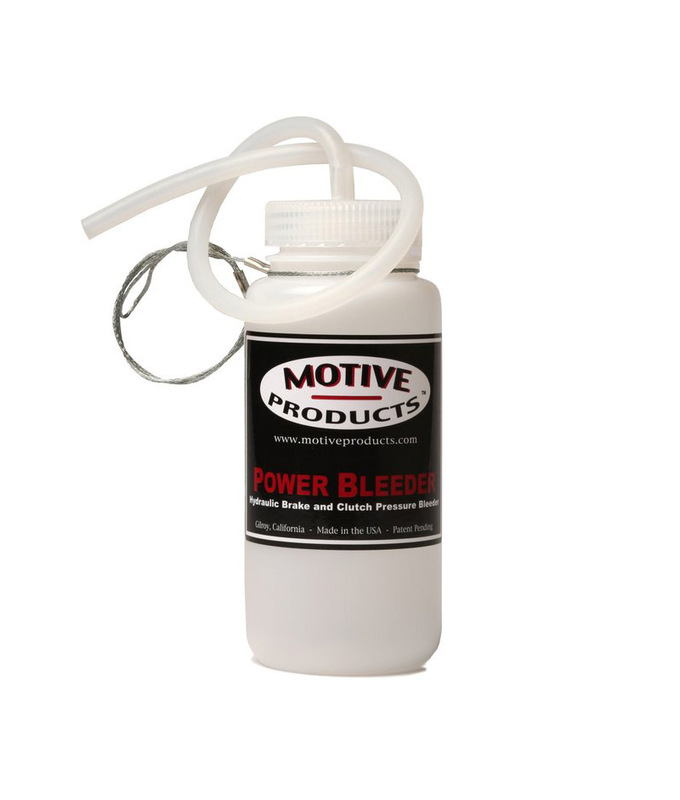 Motive's custom GM adapter kits come with everything you need to convert your POWER BLEEDER. 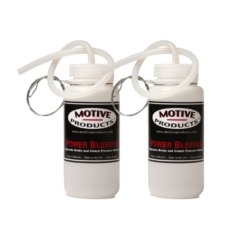 Features Custom cap to fit most late model GM cars and trucks. 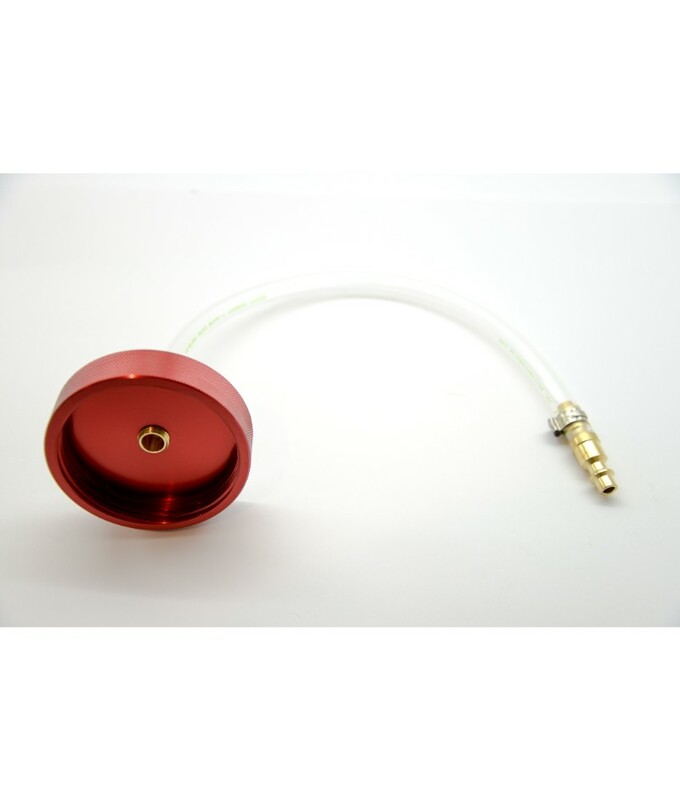 Motive's GM/Late Model Mustang Cap is made from custom machined aluminium. 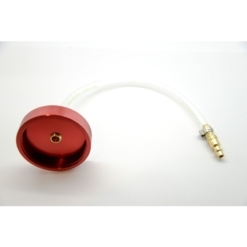 Custom cap to fit most late model GM cars and trucks. 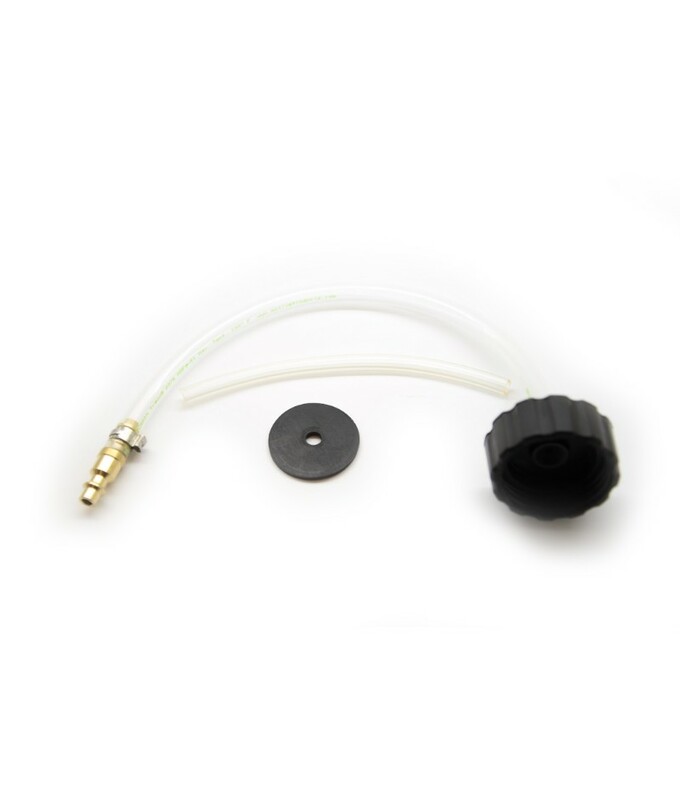 Motive's custom made injection moulded European adapter fits most European cars, including most Alfa Romeo, Audi, BMW, Fiat, Mercedes, Peugeot, Porsche, Renault, SAAB, Volkswagen, Volvo, and all other cars with 45mm threaded hydraulic fluid reservoir caps. 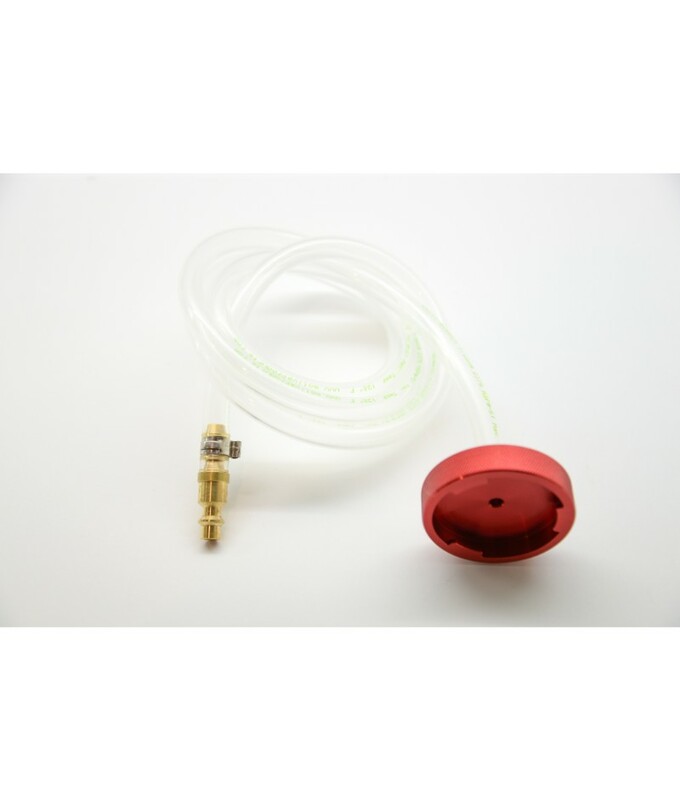 Motive's aluminium adapter is made from custom machined aluminium and features an integrated swivel fitting to prevent hose kinking. 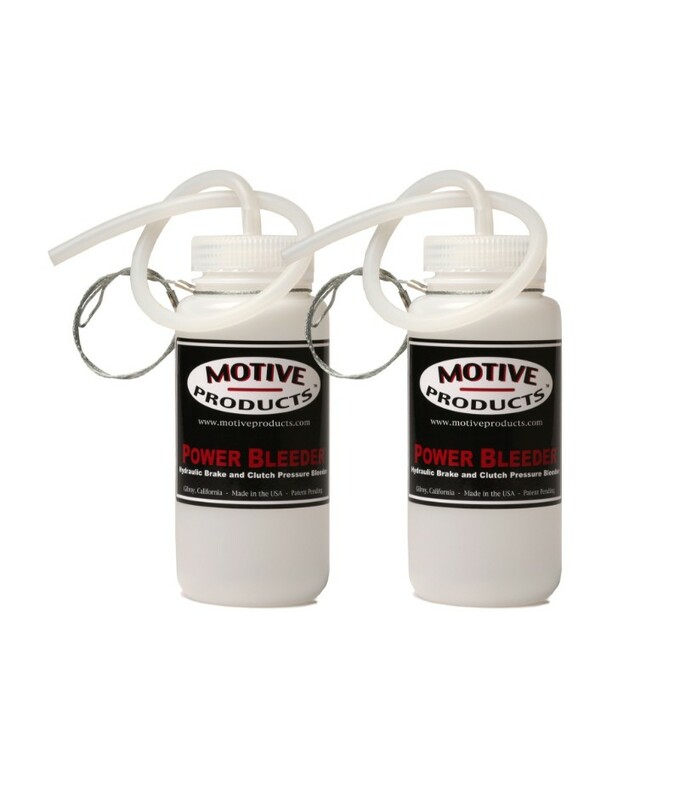 Motive's universal adapter kit comes with everything you need to work on most Honda and Toyotas. 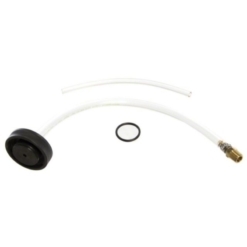 Also fits most other cars with a round hydraulic fluid reservoir smaller than 3.0 inches across. 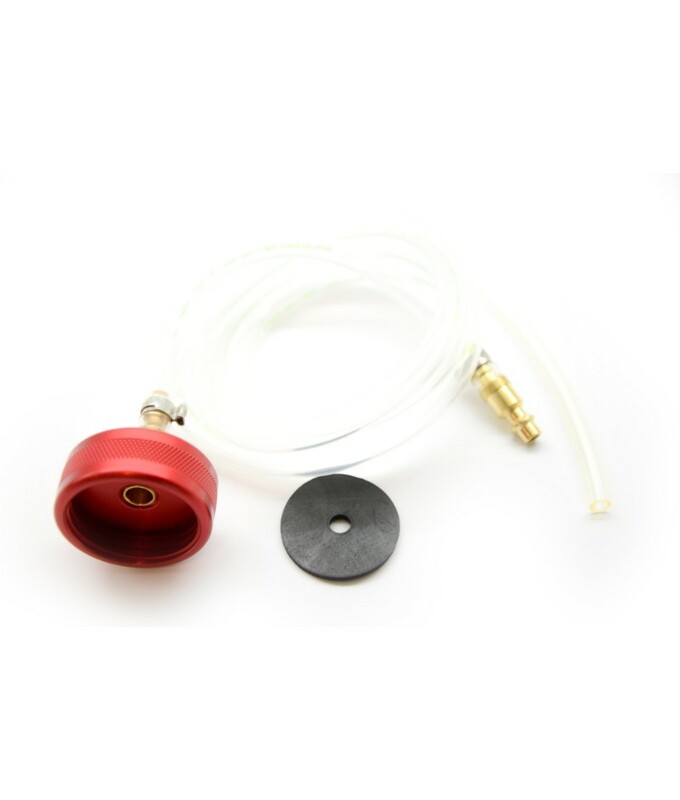 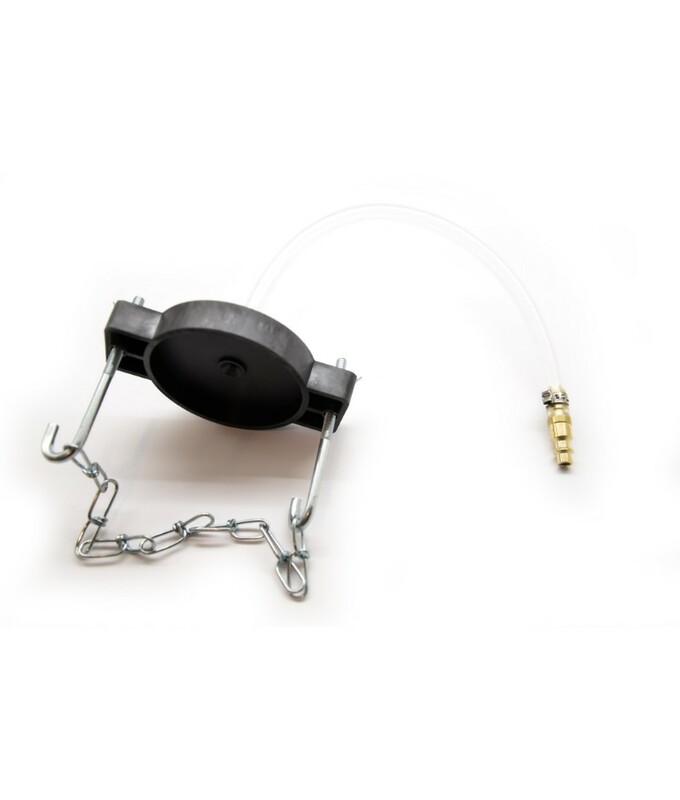 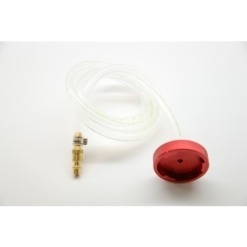 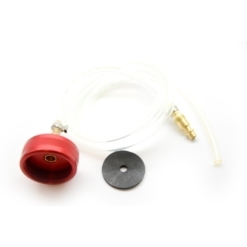 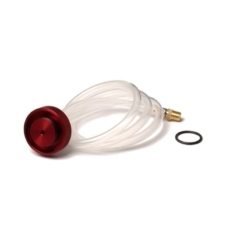 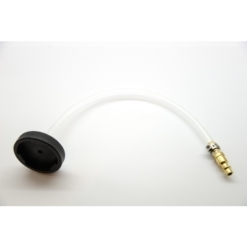 This adapter is made for cars with a round reservoir cap up to 4.5" in diameter. 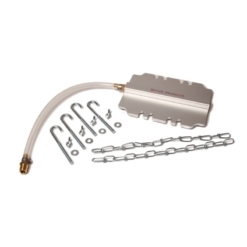 Early 60's GM and Ford Master Cylinders without Power Brakes and with a round reservoir. 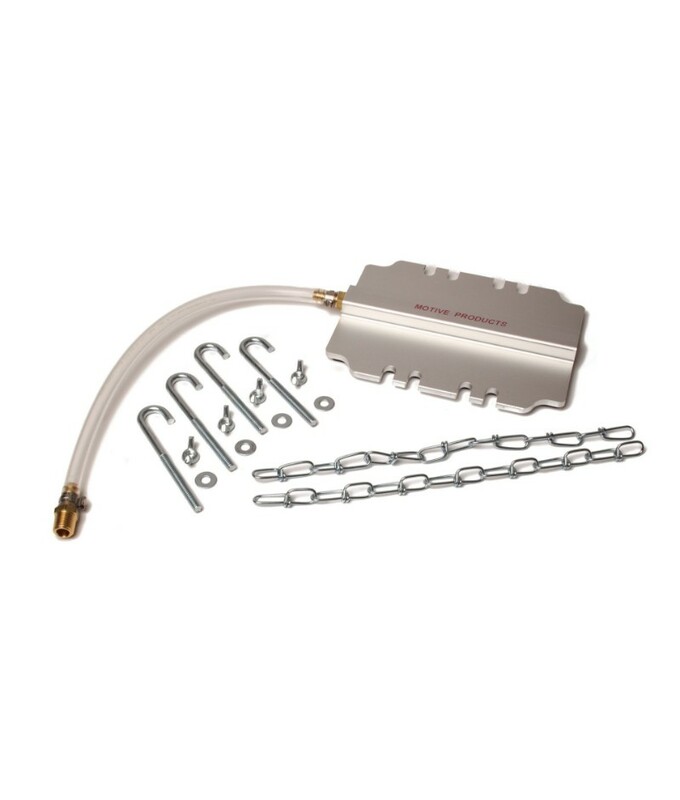 Many Honda's and some Toyota's will use this adapter. 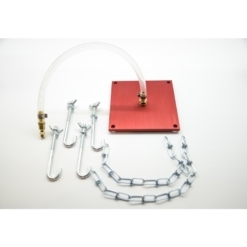 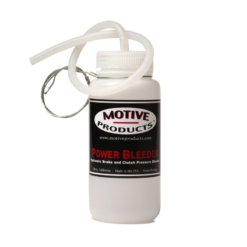 Suitable for most American cars with metal rectangular hydraulic fluid reservoirs, including Ford, GM, and Chrysler vehicles. 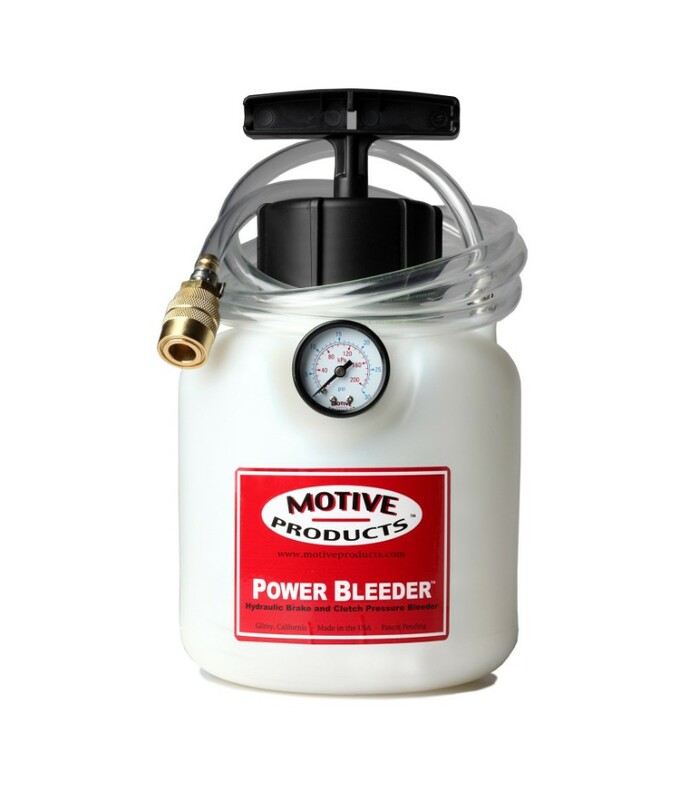 Motive Products Power Bleeder Bundle – Build Your Own!